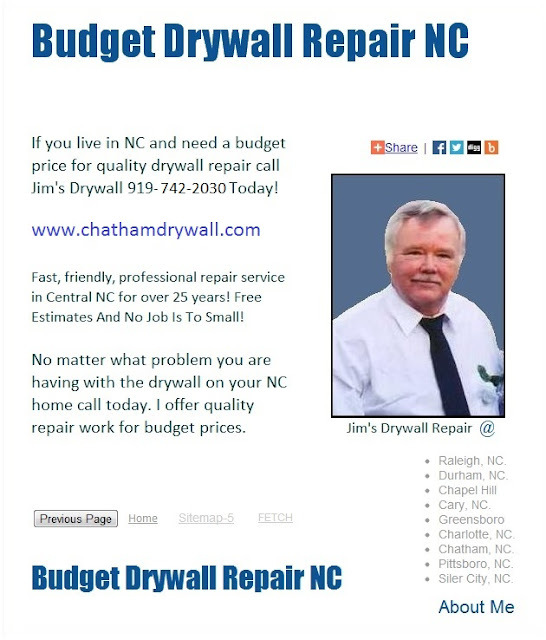 Improve the appearance of home in Pittsboro, NC with an overhaul or complete replacement of the drywall that is currently on your walls and ceilings. Reconstruction can be very affordable and will greatly increase the value of residential properties. Nail Pop, poorly finished drywall joints, loose cracking metal corner bead or joint tape, holes, cracks, water damage walls and ceilings, no matter what problem you are having with the drywall in your home it can be repaired and look like new when friends, relatives or neighbors visit. Drywall Reconstruction Overhaul Replacement Improvement Pittsboro. Improve the appearance of home in Pittsboro, NC with an overhaul or complete replacement of the drywall that is currently on your walls and ceilings. Reconstruction can be very affordable and will greatly increase the value of residential properties.